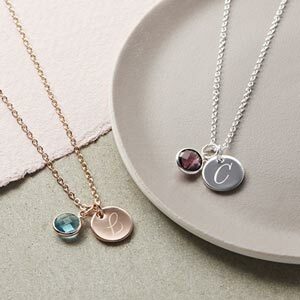 The Personalised Initial Star Birthstone Bracelet is a lovely star bracelet with a pretty lowercase handstamped initial and choice of micro birthstone charm. 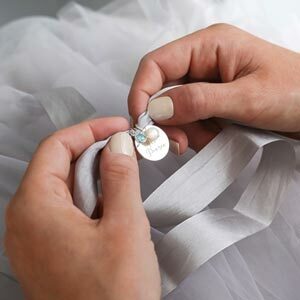 The Initial Star Bracelet is a perfect contemporary style star bracelet that comes handstamped with an inital of your choice and also features a hanging birthstone. This delicate star bracelet has an extender chain and a beautiful heart shaped tag on the end. The initial star bracelet is available in both adult and children's sizes. Why not also add luxury packaging to make the perfect gift! Children's: chain length 14 cm with 3 cm extender chain.